From Australia’s leading and largest garden shed manufacturer – Absco, we are happy to offer select sheds from their Highlander Range. 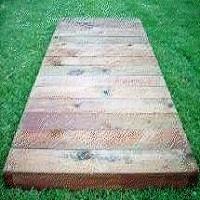 Need extra height in your garden shed? 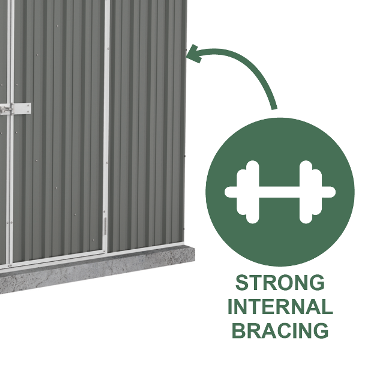 The Absco Highlander range of sheds delivers just that. 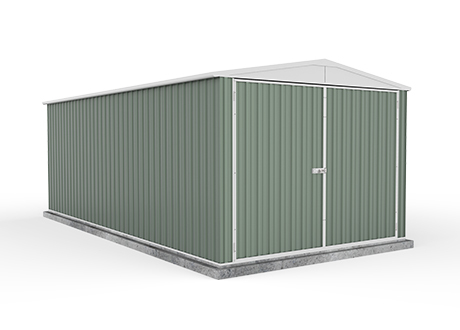 The Highlander range takes some of the standard height models from the Regent; Workshop & Utility range of sheds and gives them a boost. 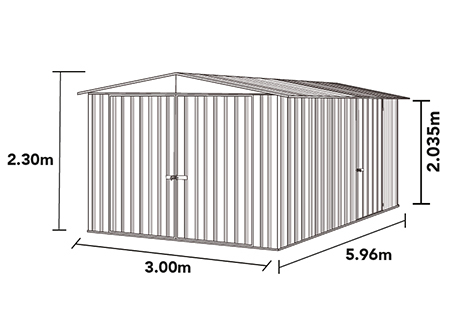 Whereas the standard height configurations are typically 1.8m wall heights, the Highlander range offers these models with a 2.035m wall height – some 200mm taller. 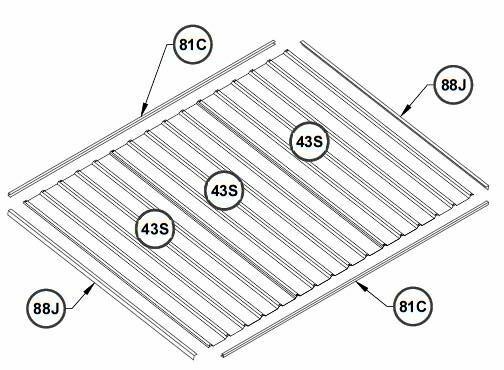 While this may not sound like much at first pass, once you are standing in the shed, the extra headroom makes all the difference to your access, comfort and even the dissipation of accumulated radiated heat. 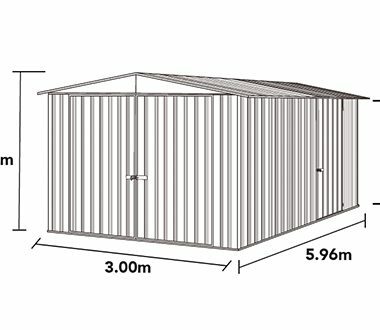 So if you’ve got a tall person in your family, or have those extra tall shelving units, furniture or other storage items – these Highlander range of Absco sheds are for you. 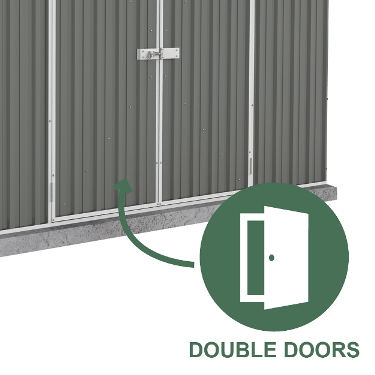 They are manufactured with braced & reinforced hinged door(s) and features low maintenance & long lasting quality high tensile steel from Bluescope (BHP Australia). 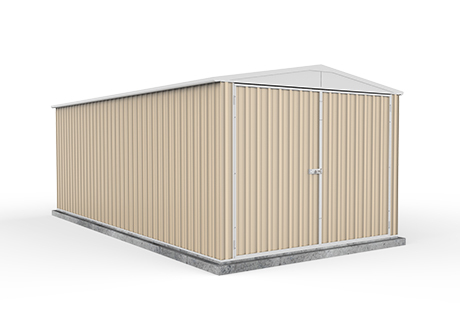 This range of sheds come with a comprehensive thirty (30) year written manufacturer’s warranty, and Absco’s unique and Worldwide Patented Snaptite™ assembly system. 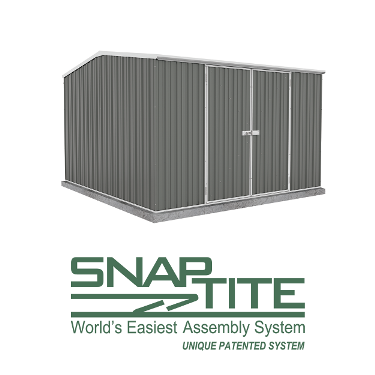 Snaptite ™ is the DIY’ers dream. 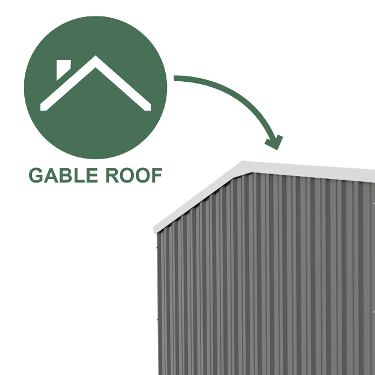 It delivers an 80% quicker assembly time by reducing the number of fixings by 75%. 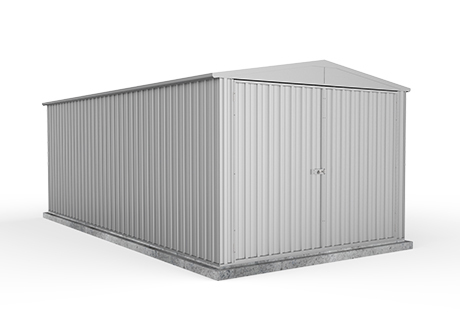 With safety rolled metal edges on roof & wall sheeting, easy to follow assembly manuals, and superior cross braced doors; make the Absco Highlander range shed, proudly offered to you by Discountsheds.com.au – your shed. 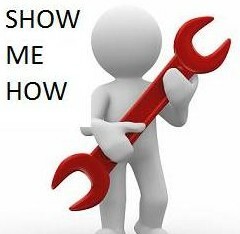 Bolt Down Anchor Kit (8): # Required - x3 +$147(Set Of 8 : - Brackets, Nuts & Bolts, + Dynabolts) Once selected - multiple quantities can be set in the "Order Summary" section below.